[US$ 15040]	a pair only!! 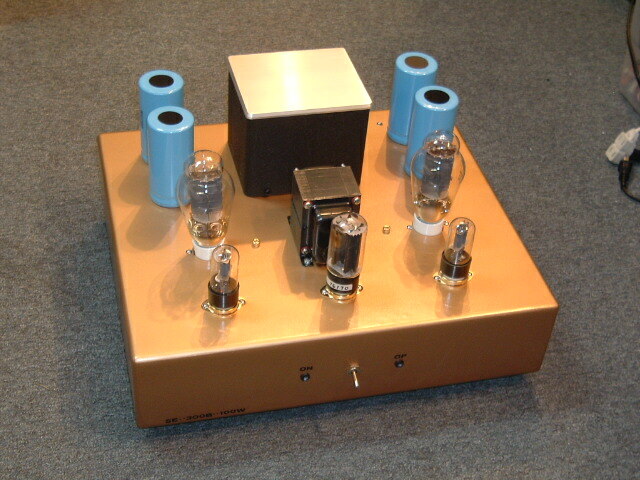 100Wrms x 2 single-ended DHT pure class A triode Super OTL power amplifier with true balanced inputs. 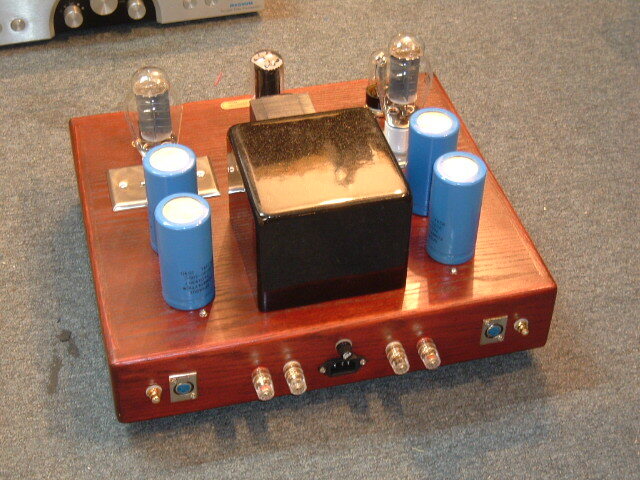 This is our high power series of single-ended DHT Super OTL power amplifier which use the 845 or 211 tubes. Input tubes can use 6SL7, 6SN7, 6SU7 , 5691, 5692, ECC32, ECC33, ECC35 and all equivalents. This model has both RCA and XLR inputs, power-on delay and speaker DC offset protection circuit included for maximum safefy consideration. 1. 0db NFB from input to output , all tubes working in pure class A single-ended operation mode, as well as point-to-point hand wiring technique. 2. 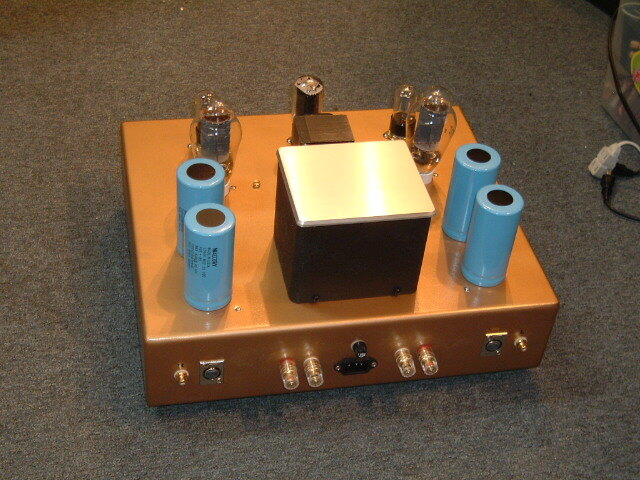 Pure analog linear power supply and amplification design for lowest possible un-pleasant distortions, result in much better sonic performance than others which use switching power supply and class D amplification, and still asked for a $100K price tag. 3. Our proprietary Super OTL design without output transformers, maximum damping factor and most widest bandwidth can be achieved, the beautiful characters of the 845 is totally exposed, the bass punch, control and richness is so good that exceeds any traditional 845 designs while the mid and high range silky outstanding dynamics as well as sweetness still holds. Just one single 845 as output tube, no need to parallel two or more tubes, so most puriest and linear class A sound as result. 5. Factory pre-set bias and hum adjustment, not necessary to re-calibrate but just plug and play of different tubes. The 845 tube works under a totally safe and long lasting operation conditions, which can almost last forever until the filament drop dead. 7. Integrated our most advanced MDE (micro-dynamics extraction) design. Which can let very minute information originally immersed below background noise surface out effortlessly. You can easily hear the real end of each music note in the recording which you never experienced before, with those invisible links between each notes. Every musical instrument will have astonishing 3D separation from each other but with the invisible musical link in between. Any musician can get really excited by the performance of this circuit, since each phrase of notes and chords can easily tell without masked by vocals or other instruments, a real musical reproduction of sound. 8. 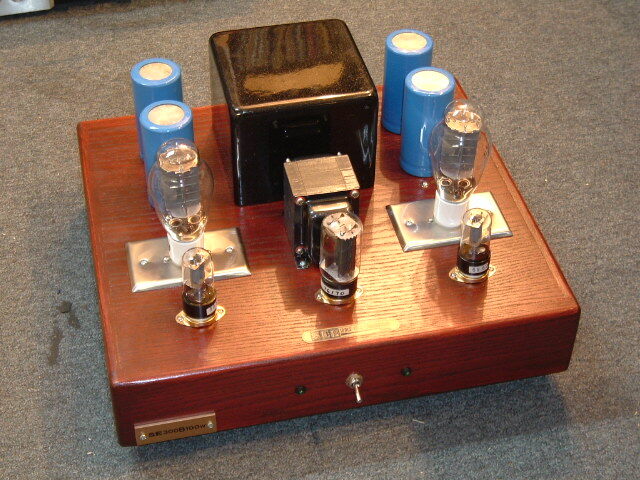 Three separate power transfromer (power stage, tube stage and filament transformers) for lowest interference between supplies and highest dynamics with stressless sound. 9. Real out-of-the-factory price, no expensive marketing and reviews which cost typical 80% or more of the unit price. Your each one dollar investment get at least 5 to 10 dollars back in terms of sound. 10. Soft start filament supply to 845 tubes for prolonged life time. 11.Enhanced from the regular version with 274B rectifier and 6L6 driver tubes, oil coupling capacitors, double rating wirings, Enhanced power supply section. Western Electric cloth wiring for vital route. Elegant solid-oak chassis with polished brass top plate and vintage look power meter ( different chassis and design possile upon request , price might vary ). This is the best sounding amplifier we have ever made since business, open airy deep and wide sound stage, extreme crystal transparent with high texture high density sound, there is no hollow spots in the whole sonic picture, all filled up by music with ulimate musicality and dynamics. 12. Constant current ampiication design to acheive the lowest noise level and highest linear gain from tubes, high gain with variable gain control, which can match any speaker or pre-amps easily. 13. Switchable choke design, enable choke for slower music pace requirement or disable choke for high speed high dynamics music. 15. One pair of high-end super enhanced power cable included .